Sylvester Solomon has spent the last four years bringing his latest venture to life stone by stone and bamboo by bamboo. Last November he opened Bamboo Grill in Salem, which has introduced a new experience to the tiny community but also the island. The entrepreneur is focused on creating a sustainable business and reducing the use of plastic products. He does not offer take out, no canned or bottled drinks. It’s the perfect place to come in and enjoy his collection of wines and unique cocktails. 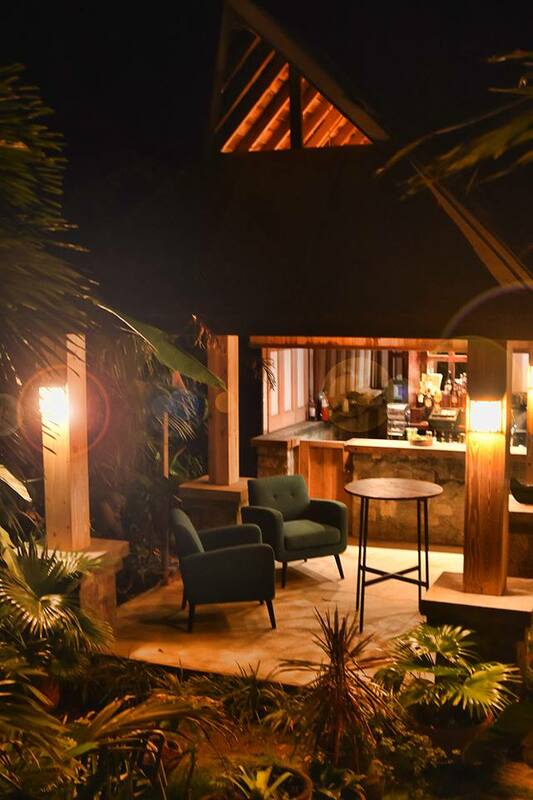 The bar which will be expanded to offer Asian cuisine is hidden behind rock walls, palm trees and other rich foliage. The intimate lighting makes it perfect for couples who want to get close and for friends and family desirous of celebrating special occasions. Soon he will be lighting up his tapikani grill so you can grab the flavors of your meal being prepared right in front of you. Solomon previously delivered fruit salads and other natural juices to his customers across the island. Now the same natural juices are at Bamboo Grill. He’s hoping all of the work he has put into creating the beautiful establishment will make it a space where people want to come and relax at the end of the day. The Bamboo Grill is currently opened Monday to Friday from 5PM and from noon on Saturdays. There are live music events coming up. Visit Bamboo Grill on Facebook – https://www.facebook.com/BambooGrillRestaurant for more details. There several seating zones at the Bamboo Grill in Salem.